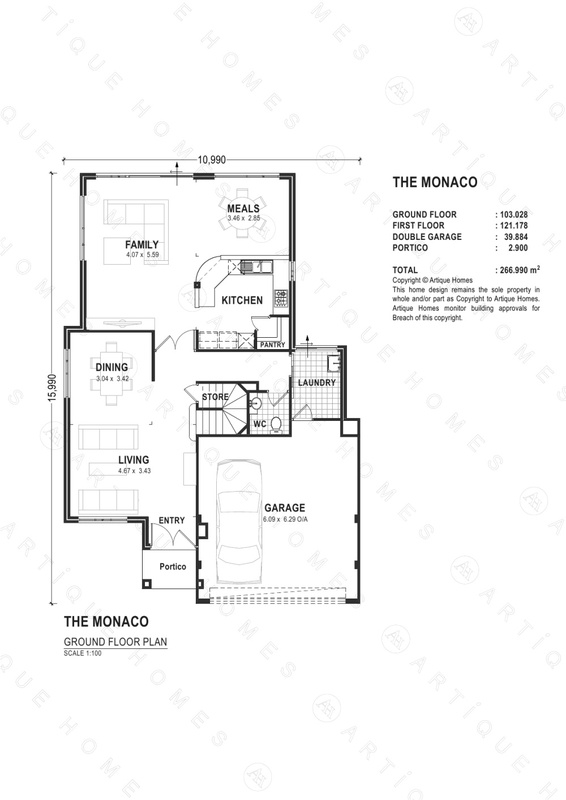 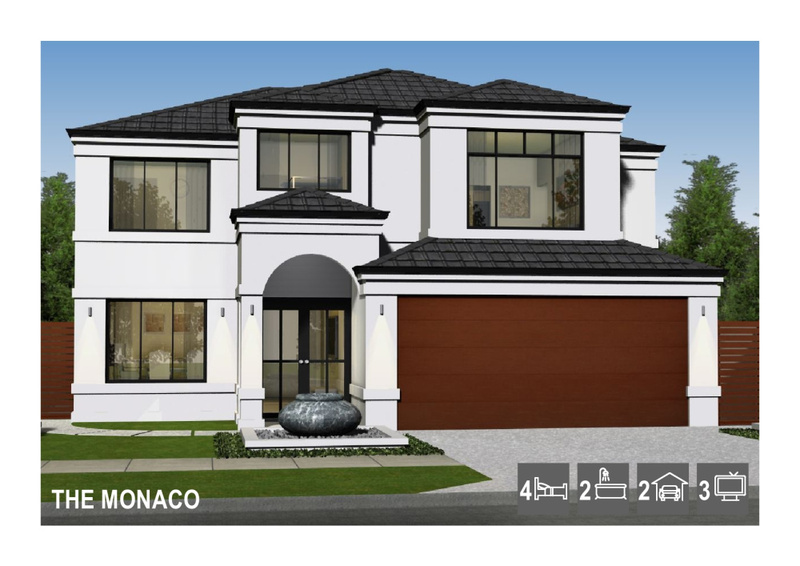 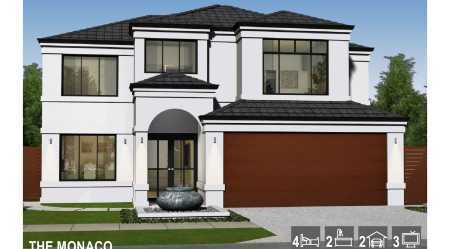 The Monaco, at $402,280 for contemporay Elevation, or $430,040 for the Floreat Elevation, is a luxury double storey home inspired by the homes of the Mediterranean, suited to a 13.5 metre lot. 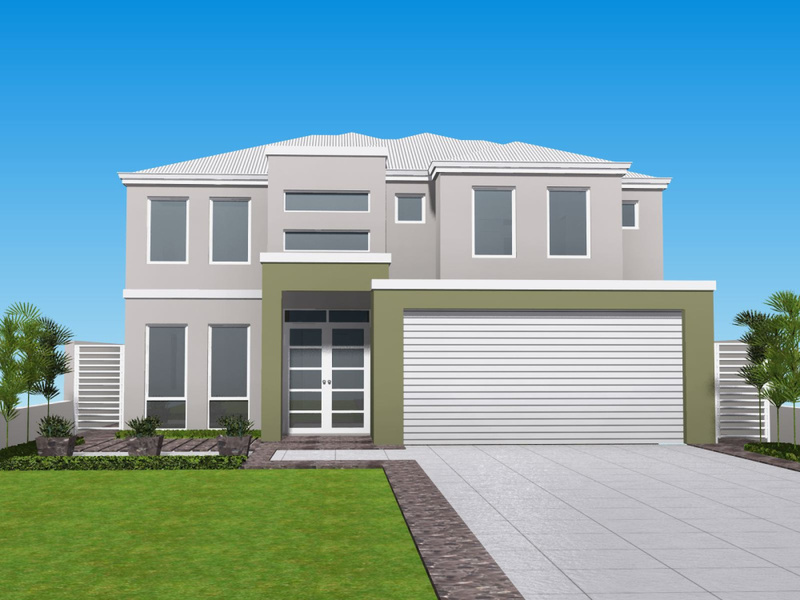 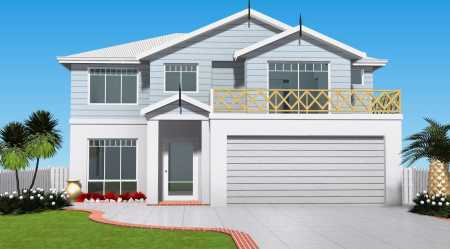 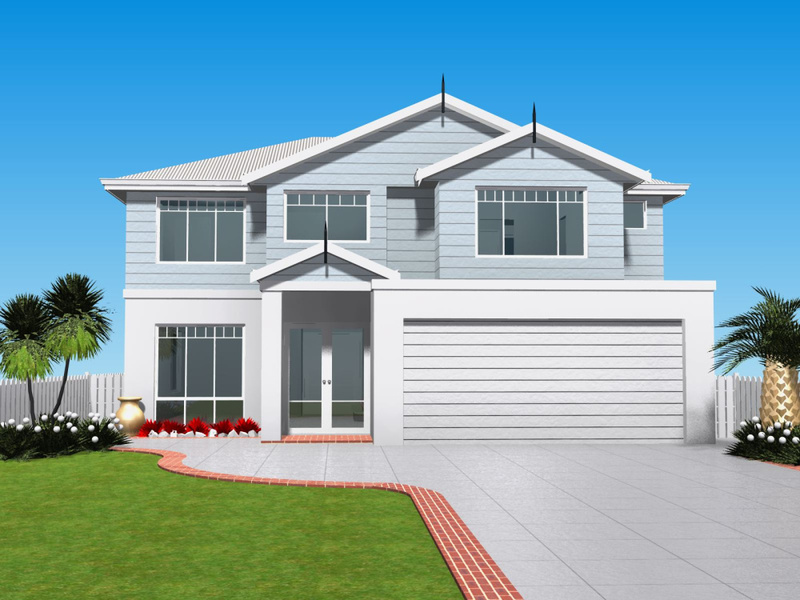 This home has been built to offer the benefits of a two storey property for those who need a narrow block home here in Perth. 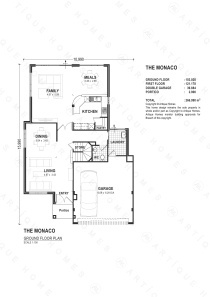 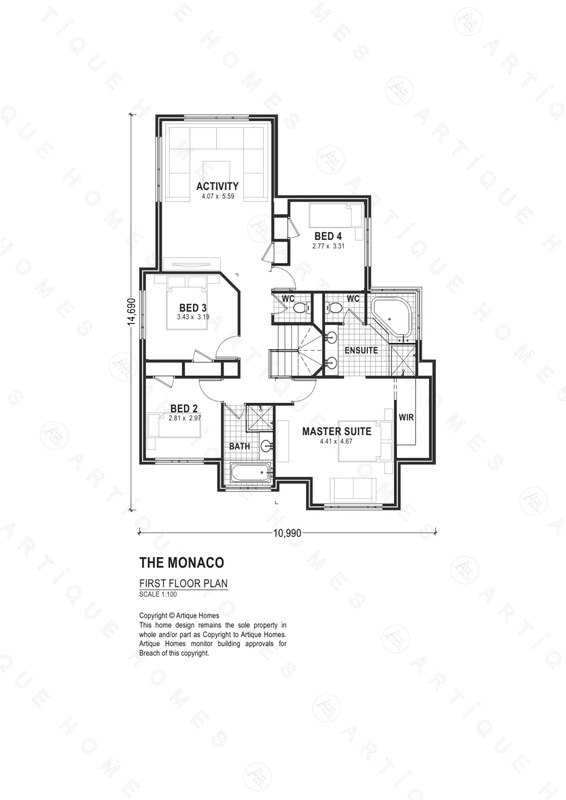 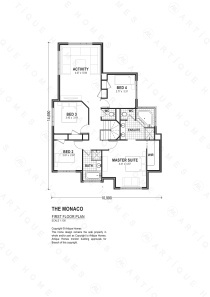 Created by our new home designer specifically to suit narrow lot sites, The Monaco offers impressive features including 4 bedrooms, 3 bathrooms and a double garage as well as Formal Lounge/Dining, Family and Activity areas. 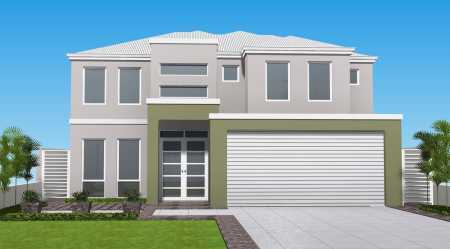 This luxury new home has the capacity to radically change your life and provide a real sense of decadence and space. 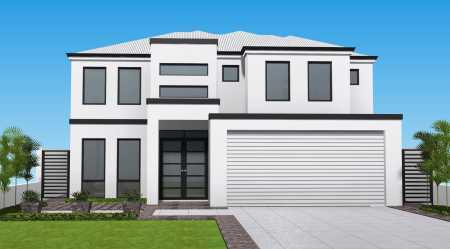 An impressive street elevation beckons you towards a curved entrance porch and generous double front doors. 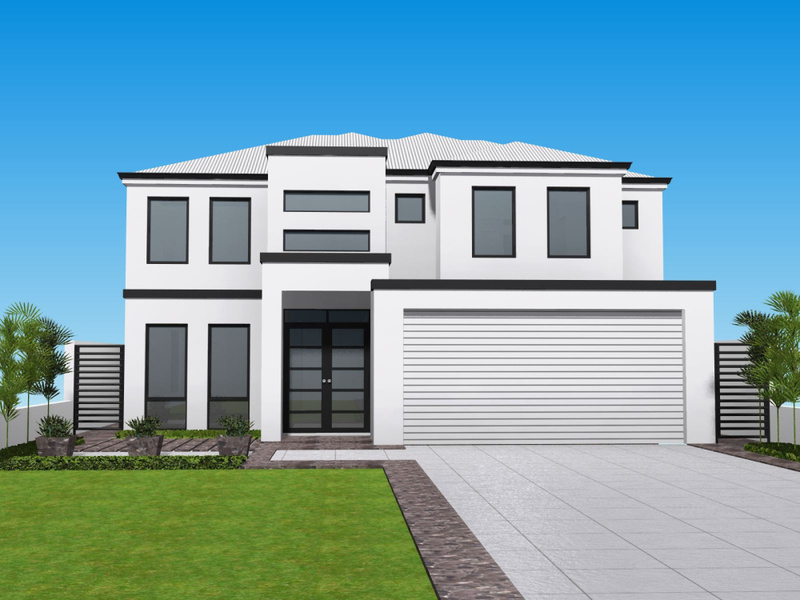 This is a timeless home, combining real character with the highest standards of modern new home design, demonstrating spaciousness and light.